3bc.co.uk:	[ l553384 ] (no spaces inside the brackets. "Beware as SID codes belong to the equipment at a plant and not the company which owns the plant. As such they are transient from company to company when the plant and its equipment are sold and as such through time one SID code may belong to a number of Discogs entities. Also bear in mind that some plant handle work for third-party vendors, who elect to have their company names used in the matrix instead of the actual press plant. These names when viewed in conjunction with SID codes which belong to the actual press plant, give a false impression that the SID belongs instead to the branded vendor. An SID code alone should never be used alone in determining the correct company name and should not be used as the sole identifier. Also remember these lists are not wholly accurate, complete or definitive and should be used as supplemental information only: "
IFPI's SID Code implimentation guide. - Pdf format. Music Sammler's SID code list. Madonna Discography's SID Code list. Madonna Discography's Plant list with matrix images. Lazlo's CD History machine, CD plant list. 00 L7*	PRS, Louviers and PMDC, France	*Matrix suffix - belongs to PMDC, France and PMS. Please be absolutely certain before using either, if unsure, do not credit. Check the CD face as they usually tend to be printed on the CD face. 80 PG####:	This is a almost certainly a CDr. ABD:	Above Board Distribution (*ABD prefixes the release catalogue number in the matrix - they are a broker and do not use theoir own facilities, as such SID codes will be random). AMERICAN PRO DIGITAL, INC.:	American Pro Digital, Inc.
ARC / Allied Record Company*:	Allied Record Company	*Often preceded by the "a" company logo. BODDEKER AUDIO & MEDIA INC.:	Boddeker Audio & Media Inc.
CDDVD Now! / CA/CDDVDNOW:	CDDVD Now! CDPUK / CDP UK LTD. / CD PLANT UK LIMITED:	CDP UK Ltd.
CD-R 80:	This is a almost certainly a CDr. CDR UG 80 (#######):	This is a almost certainly a CDr. CI / TEXT 01:	Cinram, Olyphant, PA	*When accompanied by a mould SID code with a 2U prefix (ie: 2U7K). Please use 'pressed by' credit as glass mastering is usually credited to WEA Mfg. Olyphant in the mirror/matrix band. CI/CA:	Cinram, Commerce, CA	*Will also be accompanied by a mould SID code with a 2V prefix (ie: 2V2W) Please use 'pressed by' credit as glass mastering frequently occured off-site at Olyphant. Cinram / MFG BY CINRAM:	Cinram	*In cases where the the mould SID code of "IFPI 20##" occurs with Cinram in the matrix, please see Cinram, Mexico. CO#### MBI 80UG:	This is a almost certainly a CDr. CRAVEDOG.COM / Cravedog.com:	Cravedog We should be crediting "Cravedog.com". A profile of Cravedog, Inc. has been set up but this does not appear on any releases and is wholly invented/invalid. Please do not use this profile. crest natl.ca* / MFG BY CREST NATIONAL - CA:	Crest National	*this variant appears on the mould/hub. 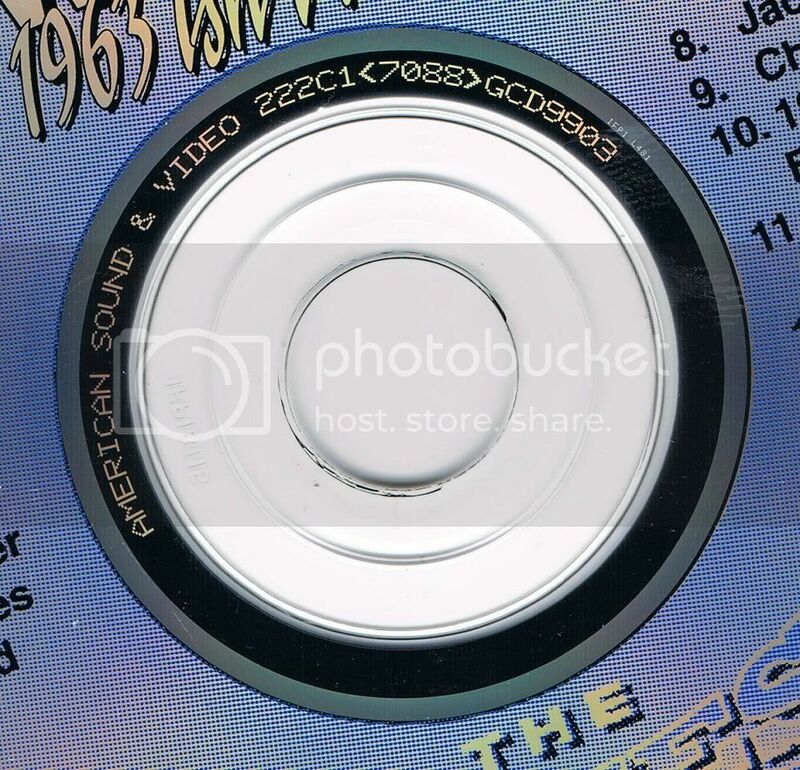 CSR ; CSR COMPACT DISC ; MANUFACTURED BY CBS / SONY RECORDS INC.:	CBS/Sony Records Inc.
Ⓓ (This can look like a circled triangle):	Disctronics Texas, Inc.
D80 GL ######:	This is a almost certainly a CDr. Damont Audio Ltd.:	Damont Audio Ltd.
DIGI-PRES / DIGI PRES MEDIA www.digipres.com.pl:	Digi Pres	*Where the plant is credited by just the urlk, credit the url instead. DIPUBLIM, S.A DE C.V MADE IN MEXICO:	Dipublim, S.A. De C.V.
DMI / DISC MFG, INC.:	Disc Manufacturing, Inc.
EMA:	EMA (3)	(*Found in the matrix as EMA and on CDr artwork as EMA). EMI:	EMI	(See also EMI Swindon, EMI Uden, EMI Manufacturing and EMI UK). ePublishing / ePublishing, USA / e Publishing, USA:	ePublishing, USA	*Where both USMD and ePublishing appear in the Matrix, please credit 'manufactured by ePublishing' and 'pressed by USMD'. EURODISC / EURODISC S.A.:	Eurodisc S.A.
GZ:	Gramofonové Závody & GZ Digital Media	(Take care entering these. Neither company name uses here appears in the matrix. The profiles have been split to reflect a real life change to the company name which is never reflected on the releases themselves and are based on the dates of the change only. Beware that it is not always possible to know when a release was manufactured, the copyright date is a guide at best. Please check both profiles before selecting which to use to avoid problems. These probably need to be merged with the name difference explained in the notes at some point). HECHO EN COLOMBIA WWW.CDSYSTEMS.COM.CO :	CD Systems De Colombia S.A.
HILUX:	HILUX	This facility does not press CDs. They are a glass mastering plant. Icon Omnimedia Corp.:	Icon Omnimedia Corp.
JET SPEED AUDIO:	Jet-Speed Audio (These Indian releases often credit "Jet Speed Audio" in the matrix but "Jet Speed Audio Pvt. Ltd." on the printed artwork. Please credit both. Key Production manufacturing for music and media* / www.keyproduction.co.uk:	Key Production	*Logo often accompanies url. See profile images. MADE IN U.K. BY PDO* :	PDO, UK	*Some early imprints do not say "BY PDO", the company is identified by the matrix string configuration as follows: [label cat no.] [6 to 8 digit id] [2-digit batch no.] [% or & symbol] - Please note that some glass masters were sent to WEA in the USA. These usually credit WEA on the CD face. MANUFACTURED IN U.S.A. BY LASERVIDEO INC. / MASTERED IN U.S.A. BY LASERVIDEO INC.:	Laservideo Inc.
Media Services / Media Services Omaha / Media Services Omaha NE*:	Media Services, Omaha	*Subject to varying punctuation. MFA####:	Microforum Services Group Often accompanied with the urls WWW.MICROFORUM.CA or www.mediares.com. Please creidt he company and the url. MFD BY MOONTOWN:	MoonTown Disc, Inc.
MFG BY UNIVERSAL:	Universal	This may appear as text or just the Universal logo. MIAMI TAPE:	Miami Tape Inc.
MICROSERVICE:	Microservice Tecnologia Digital da Amazônia Ltda. MT / MT ### +++ [catalog number assigned to release by label] :	Memory-Tech (Brand/Imprint of Memory-Tech Corporation). NAIL DUPE,INC. :	Nail Dupe, Inc.
Nea Media S.A. / NEA-Media S.A.:	NEA-Media S.A. (If the url www.nea-media.gr is printed with the company name, credit both in separate fields: www.nea-media.gr). Novodisc O.D. Group S.A.:	Novodisc O.D. Group S.A.
OOO "Сони ДАДС":	OOO "Сони ДАДС"
Opti.Me.S / MANUFACTURED IN ITALY BY OPTI.ME.S / MANUFACTURED IN ITALY BY OPTIMES	Opti.Me.S. OPTILASER / OPTILASER VENEZUELA / WWW.OPTILASER.COM / www.optilaser.com:	Optilaser C.A. PDO:	PDO	(See also; PDO, France / PDO, UK / PDO, USA / PDO, Germany). PMDC:	PMDC	(See also; PMDC, France / PMDC, Germany / PMDC, UK / PMDC, USA). PX:	Proimpex *"PX" appears as a prefix to a four digit number. Fdor example "PX 4981". Be careful as PX may be used as part of a catalogue number for certain releases. R018-####-####:	This is a almost certainly a CDr. R020-####-####:	This is a almost certainly a CDr. R025-####-####:	This is a almost certainly a CDr. R035-####-####:	This is a almost certainly a CDr. R038-####-####:	This is a almost certainly a CDr. 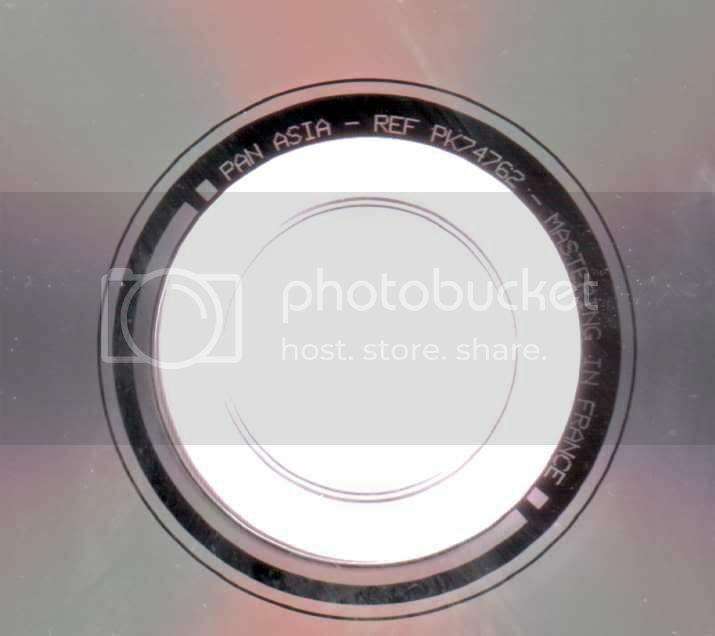 R046-####-####:	This is a almost certainly a CDr. R049-####-####:	This is a almost certainly a CDr. R052-####-#### / R052-####-#####-####:	This is a almost certainly a CDr. RAINBO:	Rainbo Records	(Often stamped into the mould/hub). REALTIME, INC / REALTIME INC.:	Realtime, Inc.
RFD80M-##### / RFD80M-##### 80 M:	This is a almost certainly a CDr. SDC GB Ltd / SDC GB:	SDC GB Ltd.
Servicios Ibéricos Entertainment, S.A. / SIBE / SIE:	Servicios Ibéricos Entertainment, S.A. SHAPE OPTIMEDIA INC. / SOI01 / SOI02 / SOI03 / SOI04:	Shape Optimedia, Inc.
SNV / CDSNV / SNVNGR / SNV TRIPLET / SNV SKY:	Sonovis	SonoNoVis / CompactDiscSonoNoVis. SONOPRESS / Sonopress*: Sonopress	*Sonopress logo also used. sonopress arvato:	Sonopress Arvato	*Sonopress Arvato logo used. In cases where this logo is presented with the mould SID code of "IFPI 08##" and the mastering SID code of "IFPI LP74", please see Sonopress Arvato, Mexico. SONY BMG MUSIC ENTERTAINMENT:	Sony BMG Music Entertainment	*Logo not text, see profile images. SOUND PERFORMANCE:	Sound Performance	Also denoted by the Specialty Record Corp's "aperture 'S' logo". Image here. www.diskbank.com.au:	www.diskbank.com.au	*Often credited with Diskbank acting as a prefix to the matrix. In these cases, please credit the company and the url. Australian broker often using a Taiwanese manufacturer. TOTAL MEDIA:	Total Media - this is often accompanied by "WWW.TOTALMEDIAINC.COM" in the matrix. Please credit Total Media and WWW.TOTALMEDIAINC.COM when this occurs. TRANSERVE Disc Technologies Ltd. / Replicated by TRANSERVE Disc Technologies Ltd.:	Transerve Disc Technologies Ltd.
Universal [Logo]:	The universal logo on its own does not indicate a manufacturer. It relates to the release being on a Universal label. US MEDIA DISC / USMD:	US Media Disc	*If the "CA" suffic appears, please use USMD-CA instead. VAJ SYSTEM S.A. de C.V.:	VAJ System S.A. de C.V.
wea mfg. OLYPHANT: WEA Mfg. Olyphant	*Please do not credit based on Text1 alone. These releases will often credit the plant in another way on the CD face or packaging. WEA:	Beware. This alone (sans mfg) is usually a sign that the CD may have been manufactured elsewhere, look for other manufacturer's logos. European releases often include MPO or Nimbus. WORLD MEDIA GROUP INC:	World Media Group Inc.
RHONE DUPLICATION:	Rhone Duplication	*Broker. Avoid pressed by and glass mastering credits as it is unlikely these are CDs or that they make them themselves. WWW.BELLWETHERMFG.COM:	www.BellwetherMfg.com	Aon at least one occasion the url WWW.BELLwether.com was used, they confirmed this was a genuine error on their part. www.dualplover.com:	www.dualplover.com	Please only use general manufactured by credits. This company does not have mastering or pressing facilities and simply oversees the manufacturing process as a broker. WWW.DUPLICATION.COM.AU:	WWW.DUPLICATION.COM.AU	Please only use general manufactured by credits. This company does not have mastering or pressing facilities and simply oversees the manufacturing process as a broker. www.supportiottici.it:	www.supportiottici.it (This url is often accompanied with "Shelve". In these cases, credit both). WWW.TOTALMEDIAINC.COM:	WWW.TOTALMEDIAINC.COM - this is often accompanied by "TOTAL MEDIA" in the matrix. Please credit Total Media and WWW.TOTALMEDIAINC.COM when this occurs. •LMW/CA:	Various - Popular Music For Popular People	Unidentified. More information is required. •TW/CA:	Asunder - A Clarion Call	Unidentified. More information is required. •AUD/AST:	http://www.discogs.com/search/?type=all&title=&credit=&artist=&genre=&label=&style=&track=&country=&catno=&year=&barcode=AUD%2FAST&submitter=&anv=&contributor=&format=&advanced=1	Unidentified. More information is required. •FD/CA	http://www.discogs.com/EZSD-Game-2-Be-old/release/3755528	Unidentified. More information is required. velove , alarmclockscreams , Amsreddevil , --AjC-- , anssisal , Barthakoste , BlackPanther , brunorepublic , caobao , ChampionJames , ChrisCrass , cvalda44 , Dark_Diver , darkwaves , dead_parrot , djindio , dreadmeat , edovan , el_duro , elchicofritto , Eponymous , Eviltoastman , [u-fnord23], Gizmex , glass , goncalobcunha69 , handmedownurluv , hmvh , ivo6 , jan_marian , jaseywacey , Juanfraner , JT_X , Kergillian , maldoror , manus-von-alles , mr.dna , Mr.Mystery , muntz , MusicNutter , Myriad Onkel-Tom , Opdiner , pic , pitermiki progcode , sebfact , skinnybutdangerous , Sneerwell , syke , toefootie , trance-of-the-ages , triv , trondl , xjoxjox , wrongdoze , yuhann . and Yukabacera . www.imsgroup.it: ims Manufacturing Also has ims manufacturing logo in the matrix. I think what is needed more is how best to record this data. Does one put everything in the matrix in one box or should ID info like cat # etc be separated from other extraneous info like: made in uk, disctronics, manufactured by, etc. which can make some entries quite long. This one has a massive catalogue, so i'm wondering wouldn't it be better to use SRC page for "SRC" ? Most of current entries at SRC page actually belong to Street Records Corporation, so this profile is free. With regards to splits and what entities do what, it's probably best discussing them outside this thread and to come back with the consensus for them to be added/removed/split etc. Discussing multiple merges splits etc will get confusing quite quickly. Like Kerry I am keen to try to identify some of the difficult companies in this thread, such as Reel Picture Productions and AGM but don't think this is the place for Alphanumeric dissections similar to the project Djindio is doing at the moment (amazing work). Personally with SRC, I'm not sure it's necessary to split from the main Specialty Records Corporation page, especially considering it's in the same place (Olyphant) with the same name. Perhaps that too could be discussed externally then brought back. I agree as it's the exact same principle as PRS, PDO, PMDC (same plants in many cases) but it would need a consensus too. I think what is needed more is how best to record this data.Does one put everything in the matrix in one box or should ID info like cat # etc be separated from other extraneous info like: made in uk, disctronics, manufactured by, etc. which can make some entries quite long. There have been a number of threads on this subject. Here's a recent one which got good advice from Nik. On Clannad - AnamI got PAN ASIA? Can you possibly scan the matrix and provide a link? Thanks. I checked the sole disc on that and it's actually made by Disctronics USA. I left a comment. I couldn't find a release saying"disctronics Limited in the matrix. I think they're either Disctronics or Disctronics B. Thanks anssisal , sebfact , cvalda44 and MusicNutter . Update. Pan Asia appears to be "Sonopress Pan Asia Compact Disc International Ltd". I noticed Sonopress did the other European versions. Anyone have further information, please let me know as this news may not be correct. Musicnutter. I think it's best you leave that in the baoi section for now until we get better leads. Praxis: very short-lived Canadian CD pressing plant. In operation only 1987 - 1988. Discs have frosted inner hub and say "PRAXIS" in the matrix. Not currently in the db, but I have a couple. Not sure whether to add as just Praxis (#) as it appears or Praxis Technologies Corp. (seems to have been the full company name). I'd go with what's on the release as closely as possible myself. Let me know when it's live. But as a label DOCdata, it seems to use a whole lot of different names in the matrix, for example DOCdata, docdata media, DOCdata Germany etc. "Mastered By" can, as in this case, mean the same as "Mastered At" (or indeed "Glass Mastered At"). It does seem silly to have to separate pages ('artist' and 'label') just due to this small variation in wording. This is the area where we see the join between artists and labels / companies. This kind of conundrum will always exist as long as we have the two different types of entities, and have to choose between them. I don't have a massive problem with the credit being 'interpreted' so as to place it into the company rather than artist realm. In the same breath, however, I have to ask if it is worth adjusting everything? No doubt the next user will come along, enter the credit as they see it, and it will have to be adjusted again. maybe the best thing at the moment is to accept and acknowledge this issue, and just let the credits fall where they may. In the future, if we go ahead and merge the artist and label / company concepts, then this will be much less of an issue, and may be dealt with in a more cohesive way. I can't promise anything though, and as far as I can see there will always be some fuzz regarding whether the entity was acting in an artistic (or craftmanlike) mode, or a more business type one. Perhaps I should remove the crediting advice from "Mastered by Mayking" and "Mastered by Nimbus" considering the above, or should we push afresh to move to company profiles permanently for these companies by asking Nik what his feelings are now on the matter? With Docdata certainly looks like there are valid cases for splits (requires external discussion). I'll add them as they are for the time being, same with EMI manufacturing. anssisal , thanks again. I've added as is for now. Please let me know if there is a split if/when it happens. It's difficult with these split artist/company credits what exactly to recommend. 10.2.7 Companies, businesses etc can be credited if they are directly given a credit on the release, for example; 'Design - Central Station Design'. So (at least for now) it might be slightly wrong to advice users to use "Glass Mastered At" when it says Mastered By Company_X on the release. I've added label and company for the ones you posted, I think we should leave it to the subbers instinct until rules are changed. In the meantime, I'd be interested if nik would comment if he's not in favour of a migration of these to company to me "recommending" here that users should opt for the company instead of the artist. one more to your list: Novodisc O.D. Group S.A.
ne more to your list: Novodisc O.D. Group S.A. I added this and also found releases in "Novodisc" for the Brazilian plant to added that separately. Thanks Kerry. I wanted one of my own for a while but my insides are all wrong. I had to adopt James's. Thanks. What we need here are examples of how they are presented in the CD matrix followed by a link to their profile on the database. Until they're added, I cannot use them. Sorry about the Google-cache part but it seems http://www.crimson-ceremony.net/pr3/pressingplants/index_cd.html is offline at the moment. One more for your list: "Made by CDT" or "Mastered By CDT" will refer to the CDT (2) (IFPI L141) plant in South Africa. Thanks hmvh . ChampionJames started it but due to his commitment with themastering studio threads he was looking for someone to take over, so it was his idea. I'm in the process of sorting CDT for you. Thanks for the links. The second link I've copied to an xml file as a backup as it's cache is dodgy. It's handy to have. Saved this thread for future reference. Will let you know if I stumbled across any missed, but it looks like most are covered here. WORLD MEDIA GROUP INC World Media Group Inc.
a Russian one: ООО "Си Ди Клуб"
WWW.MORPHIUS.COM / MORPH / MORPHIUSDISC MFG: MorphiusDisc Manufacturing Sometimes two or more name variations in one cd. This for example seems to have them all. Good grief, what idiot dreamt this new nightmare up? Yeah syke is brilliant like that! But I suspect that after an initial period of a lot of work here it'll taper down some and become more a place for investigating unknowns. I think the layout is pretty good, an improvement upon what I'd started with. It may be worthwhile in a later implementation, after the initial flurry has settled down, to other some info on dating pressings based on the strings, as some plants seem to have used certain schemes during specific eras. Also listing IFPI mould prefixes assigned to specific plants could be something worth doing down the road. Once again, great work, Piano Legs. Your father and I are very proud. According to the profile, they should point generically to DADC. EDIT: DISCTRONICS USA variant in some my discs. Also listing IFPI mould prefixes assigned to specific plants could be something worth doing down the road. Found some SRC##02 strings as well. Does the 0# ID a specific plant? How dare you use my Anthrax producer jibe! Plagarism! NIK! I'll be updating the list again in the morning. How dare you use my Anthrax producer jibe! Sound Performance, identifiable by logo in the matrix. if anyone else feels the need to standardize on selecting Glass Mastered At, Lacquer Cut At, Manufactured By, Made By, and Pressed By. Any more input would be appreciated! Thanks ChrisCrass , MusicNutter , ChampionJames (I think the SRC prefix is enough for these - SRC only related to the Olyphant plant AFAIK), anssisal , el_duro , wrongdoze , goncalobcunha69 , maldoror and darkwaves . "Runt is a small record label group founded in 1996 and since September of 2007 part of City Hall Records." This is brilliant. The profile is already up and running. CD's are sometimes marked Distributed and/or manufactured by City Hall Records too, cannot tell how prolific the matrix thing is as the subs on the label profile are quite basic. Thanks anssisal and goncalobcunha69 . anssisal , I've taken the liberty of putting the CSM before the URL'd ones for sorting reasons, so it files under "C" instead of "W". I've taken the liberty of putting the CSM before the URL'd ones for sorting reasons, so it files under "C" instead of "W". That's fine with me. I just listed them in the order I happened to find them. Pan Asia appears to be "Sonopress Pan Asia Compact Disc International Ltd". I noticed Sonopress did the other European versions. So seems to be a Sonopress factory located in Hong Kong? Where does the "Mastered in France" come into it though? I think before we use that we might need to link the two. Find the connection to make sure it's not a horrible coincidence. Should be interesting to see the IFPI Mould (09** ?) and Mastering Codes. Quite right, that may give us further insight - great idea! I've PM'd MusicNutter ro ask he extract some SID codes and also provide the link to the correct version on the DB. Kergillian and djindio Thanks for your contributions. They've been added. Sorry Toasty, I forgot that BaOI search is nil here. The mould code prefix of 81 belongs to Americ Disc. The were live from 1986 to 2011, so the likelihood of it not being the same people is slim. I'm going to send them an Email and ask them about the code and their relationship with the entity. EDIT: It is possible that the SID code belonged to one of the two American plants the group bought. Looking into it. I've PM'd MusicNutter ro ask he extract some SID codes and also provide the link to the correct version on the DB. Seems to be this: Clannad - Anam, and it was released in 1990, so before ifpi codes were introduced. I thought about ifpi, but http://www.discogs.com/Clannad-Legend/release/802138 which is the orginal release has an IFPI number. So if it was IFPI, then surely this release wouldn't have any ifpi number? thought about ifpi, but http://www.discogs.com/Clannad-Legend/release/802138 which is the orginal release has an IFPI number. So if it was IFPI, then surely this release wouldn't have any ifpi number? I thught about that, but http://www.discogs.com/Clannad-Legend/release/802138 which is an 1984 release has an IFPI number. On looking at the IFPI website, it seems to started in 1933, hence the link, that IFPI codes must been started before Anam. is marked as '84? Surely that can't be right. I thought that as well; but http://www.ifpi.org/content/section_views/legal_affairs.html says "Since 1933, so what does that mean, if IFPI codes didn't exixt? I very much doubt it's a typo. If ABBA - Visitors was amongst the first albums to come in 1981 on CD, then it must been made in 1984. I very much doubt it's a typo. You prefer to believe that CDs were being produced in 1933? it seems to started in 1933, hence the link, that IFPI codes must been started before Anam. This is incorrect. IFPI is an organisation that was founded in 1933. SID codes were introduced officially in 1994. The same as Ford Motor Company was founded in 1903 but didn;'t start producing the Ford Cortina (bless her soul) until 1962. The copyright is probably an LP legacy. Most reissues retain the original copyright year. I hope that settles it. I see what you're saying; but didn't CDs first came out in the early 80s? Yes, but never trust the copyright date alone. Especially on such early dates. It's often the date the work was first published/copyrighted rather than when the release was erm...released. they're easy enough to identify if you know what the typical PDO matrix ring looks like. I've seen this at least with some PDO, UK pressings (the bronzing division). Don't know about the other branches. Thanks, but for the moment this will not be used to dissect matrix strings themselves to identify pressing plants. This may happen at a later time. Out of genuine interest, how do you determine the plant in question from just the matrix? Sometimes it states it in the CD. It has IFPI 8785 so IFPI numbers must had been come before 1994. Are you saying that a Disctronics, Australia would be preferred to using the existing Disctronics Limited company? http://www.discogs.com/release/3551049 has MADE BY DISTRONICS Notice that it says Distronics and not Disctronics, but still is Disctronics. --> Maybe a note would be good for people searching for Distronics. The http://www.discogs.com/label/Disctronics profile is for the UK company so it makes sense to not add the Australian releases there. --> You could add Disctronics Limited http://www.discogs.com/label/Disctronics+Limited it exists. They were standardized in 1994, according to the official implementation guide. They do appear to have been used somewhat earlier, for there are some 1993 examples, as you say. But certainly they were not used in 1984 as that sub above incorrectly shows, and I have been saying to you over the course of several posts now. I'm not disputing that; I'm just confused; as it wasn't my original submisison. If it wasn't 1984, then what years would that CD come out. If it wasn't 1984, then what years would that CD come out. Sometime 1993 or after, if it has SID codes. I would simply leave the release year blank until a definite date can be tracked down.